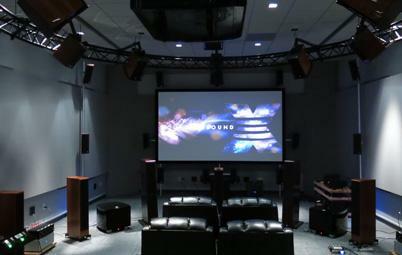 Last Thursday DTS announced its DTS:X immersive sound technology for commercial cinemas and home theaters. The key selling point for DTS:X is that it's more flexible than competing technologies such as Dolby Atmos, which depend on the use of a few specific speaker layouts. With DTS:X, commercial cinema designers and home theater aficionados can put their speakers pretty much anywhere they want (within reason), and the system will "map" the correct sounds into each speaker to create an immersive surround sound effect. I attended the launch at DTS headquarters in Calabasas, California (just outside of Los Angeles), along with several other audio/video journalists. However, I think I came away with a somewhat different impression from my colleagues, who were generally impressed with what DTS had to offer. This isn't surprising when you consider I spent most of 2000 to 2002 as director of consumer technology marketing for Dolby Laboratories. It's hard for me to think about audio technologies in terms of how cool they are; my first thoughts are always about how viable they are. The technology behind DTS:X is undeniably cool, but I left the event not only wondering how viable DTS:X is for the home environment, but whether or not the thought had even occurred to DTS. Two quick notes before I begin. First, others have already covered the technical details of DTS:X. If you want to read more about that, check out this article. Second, if you think my time at Dolby biases me...well, perhaps it does, but frankly, I can't figure out if it biases me for or against Dolby. The core technology of DTS:X is MDA, or Multi-Dimensional Audio. MDA eliminates the conventional channel assignments (left, center, right, side surround, etc.) used in existing surround sound technologies. Instead, each sound in a soundtrack is considered an "object." The object is assigned vectors that specify its position within a hemisphere 360 degrees around the listener horizontally and 180 degrees above the listener vertically. The vectors also specify how focused or diffuse the sound is and how it moves around the listener. The purported benefit of MDA is that, because it's not tied to any specific speaker configuration, it can accommodate practically any speaker system. Thus, instead of having ceiling speakers, you could mount speakers high on the walls. If you want to put in 32 speakers, that's great; but, if you can only afford 10, that's okay, too. If you just want a soundbar with a few drivers, that's also okay. The system will map the sound objects in a way that gets the best possible result from whatever speaker configuration you can afford, fit into your room, and persuade your significant other to tolerate. So far, so good. However, the demo of DTS: X made me less convinced of its viability, not more. The demo took place in a large listening lab equipped with so many speakers that the presenter didn't know off-hand how many there were. There were dozens of speakers mounted on the walls all around us, as well as a ring of Vienna Acoustics tower speakers around us. There was another ring of Vienna Acoustics bookshelf speakers hanging from a truss above us. In other words, the demo environment bore little resemblance to either a commercial cinema or a home theater. In comparison, when Dolby launched the home version of Atmos, it demoed the technology in a small room roughly analogous to a typical den, using modest bookshelf speakers of the type any halfway serious home theater aficionado could afford. We didn't have to guess what Atmos would sound like in a home theater; we actually heard it. The DTS:X demo itself was fine. DTS proved that X can make it sound like bugs are flying around a room, and the company showed us how the surprisingly intuitive interface of its MDA Creator software works. Unfortunately, the demo told me nothing about how DTS:X will work in a real home theater environment. Can it, for example, create a convincing "voice of God" ceiling speaker effect if you don't have ceiling speakers? How much of the effect do you lose by, say, mapping the sounds into a soundbar with upfiring or side-firing drivers? These are the things X should do better than Atmos, but we didn't hear any of this--only a confirmation that X can do what Atmos does, which is no reason to get excited. So I guess if you want DTS:X, you're probably going to have to put in ceiling speakers. But wait, you can use wall-mounted height speakers instead, right? Because DTS:X maps onto whatever speaker configuration you have, right? How much of the ceiling-speaker effect do you lose that way? Perhaps we'll learn when the reviews come out. With Atmos, system configuration is pretty simple because you're just adding a few extra speakers, in known locations, to an existing 5.1 or 7.1 system. Considering that DTS:X offers practically infinite possibilities for speaker setups, I was curious to find out how one would configure the DTS:X processor for all of these possible configurations. It turns out that this, too, is up to the licensees. DTS suggested using a stereo microphone array for auto-calibration, much as systems like Audyssey use a single microphone for auto-cal. However, it seems to me you'd need at least three microphones to automatically gauge the positions of speakers in a three-dimensional array, unless some assumptions about speaker locations are made (which is the case when an Atmos system auto-calibrates). And if you're making assumptions about where the speakers are located, aren't you losing some of that flexibility that DTS:X is said to offer? Fortunately, thanks to the excellence of even really cheap electret condenser mic elements, building a three-mic calibration array isn't difficult or expensive. However, as many home theater enthusiasts have learned to their dismay, auto-calibration technologies often make mistakes in determining the correct delay, bandwidth, and level for even simple 5.1 speaker systems. I doubt configuration will be much of a challenge in the initial round of DTS:X products, which will probably be limited to 11.1 channels (7.1 channels plus four ceiling speakers--i.e, the same config as an Atmos system with ceiling speakers). And of course for a soundbar manufacturer, the speaker locations for a DTS:X-compatible product would be predetermined. Still, I'd like to see how--and if--this awesome flexibility we've been promised is going to work in a high-end home theater system. When Dolby debuted Atmos for home systems, I was blown away by how the company seemed to have thought through every detail. At the time, Atmos had already been used for two years in commercial cinemas; Dolby had plenty of time to think it through, and to get feedback from licensees and speaker manufacturers. But DTS:X is launching more or less concurrently in the commercial cinema and the home. While DTS:X offers potentially useful, practical, and innovative technology, it seems to me that the application of this technology to the home environment has not yet been fully thought out...or even significantly tested. So...cool? Yes. Viable? I don't know yet. I need more than a simulation of bugs buzzing around a room to convince me. • Dolby Atmos at Home: The Known Knowns and the Known Unknowns at HomeTheaterReview.com. 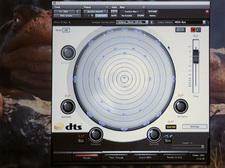 • DTS Announces Its Own Object-Based Audio Codec, DTS:X at HomeTheaterReview.com.